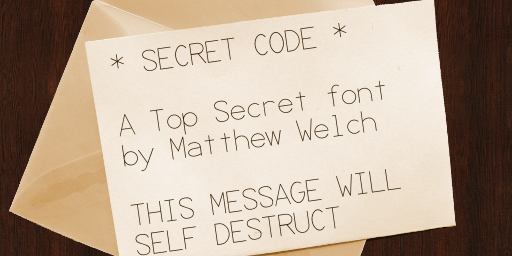 This font was inspired by titles I saw on a show about espionage. I made mine with an even thinner stroke weight. So thin, in fact, that it barely even shows up on the screen at small point sizes.